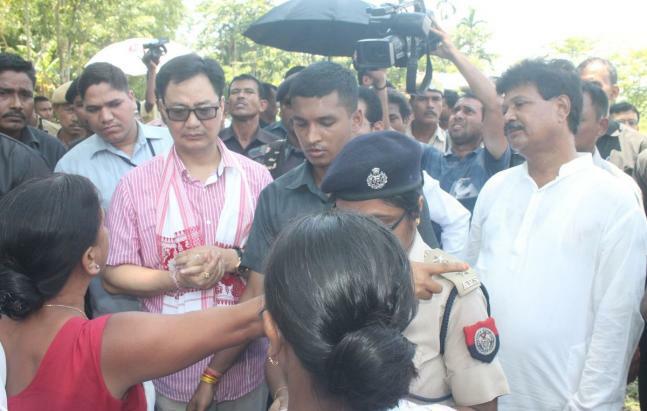 Union minister Kiren Rijiju on Thursday visited flood-affected Assam and Arunachal Pradesh, where incessant rains have marooned more than 15 lakh people and deluge and landslides have claimed many lives. 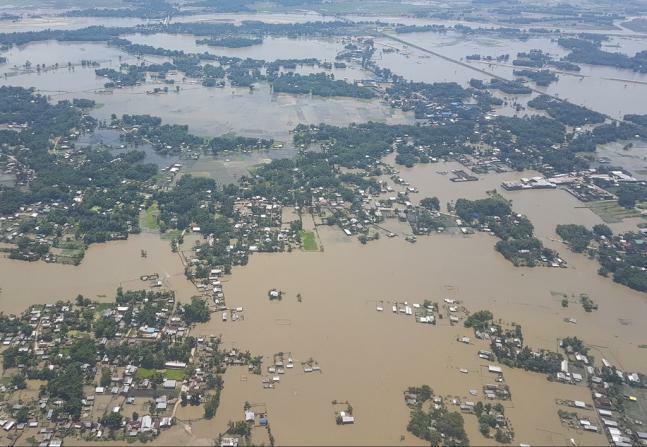 Rijiju, who was deputed by Prime Minister Narendra Modi to assess the flood situation in the Northeast, first undertook an aerial survey of flood-hit districts in Assam, where the death toll due to the deluge has mounted to 45. Before the survey, he met district administration officials in Lakhimpur in Assam, which has been hit the hardest by floods, and visited deluge-ravaged Pasnoi Baolidan village. 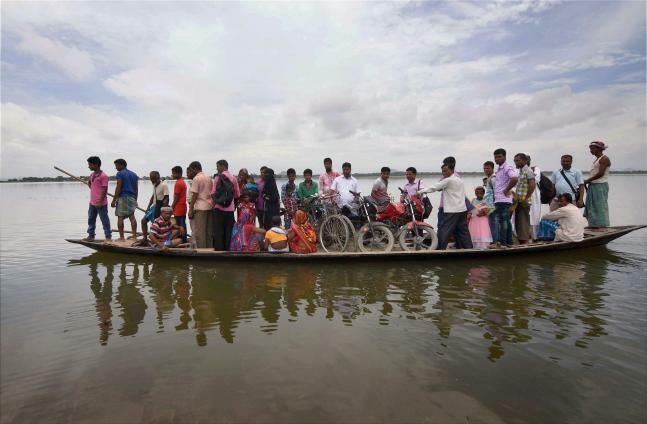 Though rains have eluded the district in the past two days, the Brahmaputra river and its tributaries are flowing above the danger mark in several areas.Lakhimpur district officials briefed the minister on the relief operations being carried out in the district. Later, the minister reached Arunachal Pradesh where at least five persons were killed and nine missing due to landslides following incessant rains in Papum Pare district. 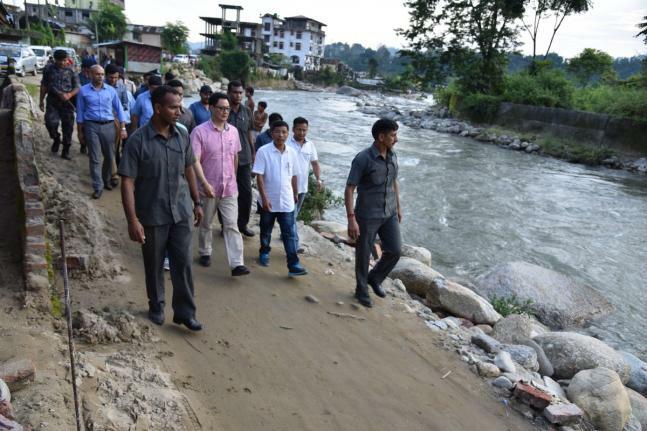 Rijiju visited the areas where infrastructures have been badly hit. In Papum Pare, a major pipeline which supplied potable water, has burst, making the lives of nearly a lakh of people miserable. The pipeline supplied water to two towns—Naharlagun and Nirajali from Nyorach area in the district. When Rijiju asked how the people in these two towns are getting water, a senior district official said that tanks are being sent to the areas. The water supply is expected to be restored in 10 days. 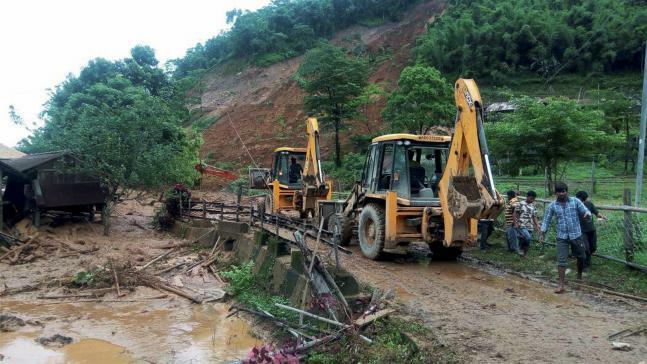 Several major roads in Arunachal Pradesh have been damaged due to landslides with district officials working round the clock to restore the roads. Floods and landslides triggered by incessant rain in the last a couple of days have completely cut off many district headquarters in the state from the rest of the country, officials said. The state capital was virtually cut off with its lifeline NH 415 getting totally eroded at the entry point, while the alternate road via Jullang remained blocked leaving only one road through Hollongi en route Lakhimpur district in Assam open, they said. 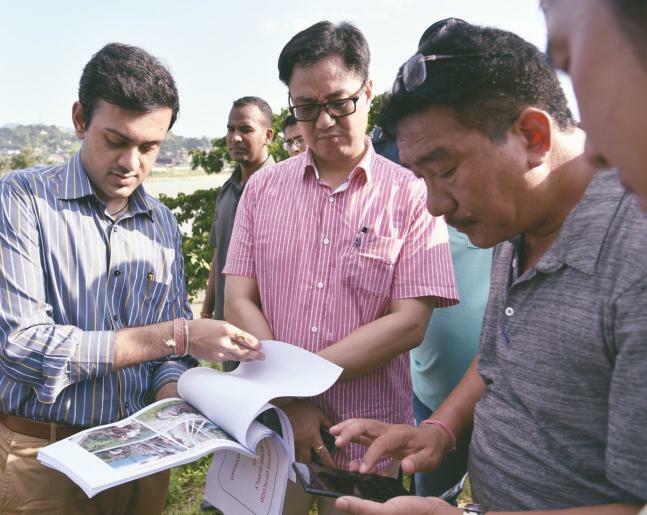 Rijiju has asked the district authorities in Papum Pare to submit a detailed report of loss and damage so that further action can be initiated accordingly.The minister also visited people in the affected areas and assured them of all possible help. He visited Badapani bridge in Papum Pare district where traffic has been closed for heavy vehicles. The bridge has also been damaged due to incessant rains. 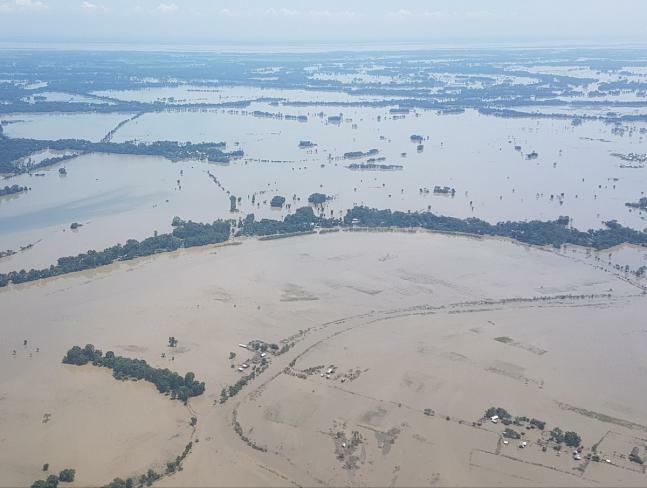 Major rivers in the state are still flowing above the danger level while surface communication was disrupted at many places along the NH-415 that links Assam with Arunachal Pradesh, officials said. Modi had spoken to Arunachal Pradesh Chief Minister Pema Khandu over phone and assured all possible support from the Centre and said that the country is with the state during these trying times. Union minister of state for development of north eastern region (DoNER) Jitendra Singh said today in New Delhi that as many as 80 people have lost their lives in the floods that have hit 58 districts in the Northeast.